It’s no fun if I have to explain the intro…you either got it or you didn’t, but I hope you did! 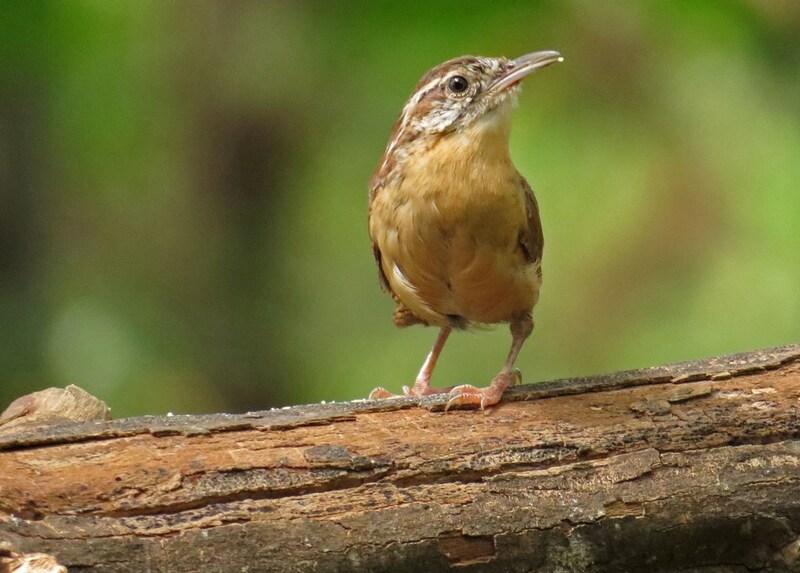 As I was filling up the feeders the other day, this sweet Carolina Wren popped in and started hopping about on the Bark Butter Branch. I think the up-turned tail, as well as its hippity-hop movements, adds to the chipper impression these birds tend to make. 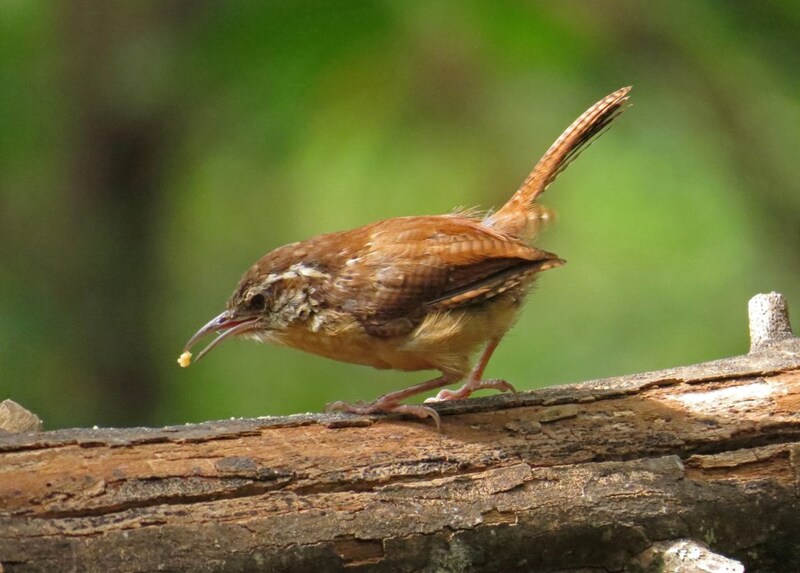 Although small in stature, Carolina Wrens are definitely big in personality. They always seem to have a song in their heart and a pep in their step! This entry was posted in Backyard Birds and tagged backyard birds, beauty, bird photography, birds, georgia birds, inspiration, nature, photography, wrens, writing. Bookmark the permalink. Lovely photos Kathy, it reminds me of the wren I saw recently in Britain, they are similar. The tail reminds me a bit of our Kookaburra. You have a real gift capturing these birds around your home. Thank you. Honestly, the time outside with my camera is a gift to me! Haha! I didn’t get the intro at first until I sung the “da da da da snap snap” part! I love your parodies!! 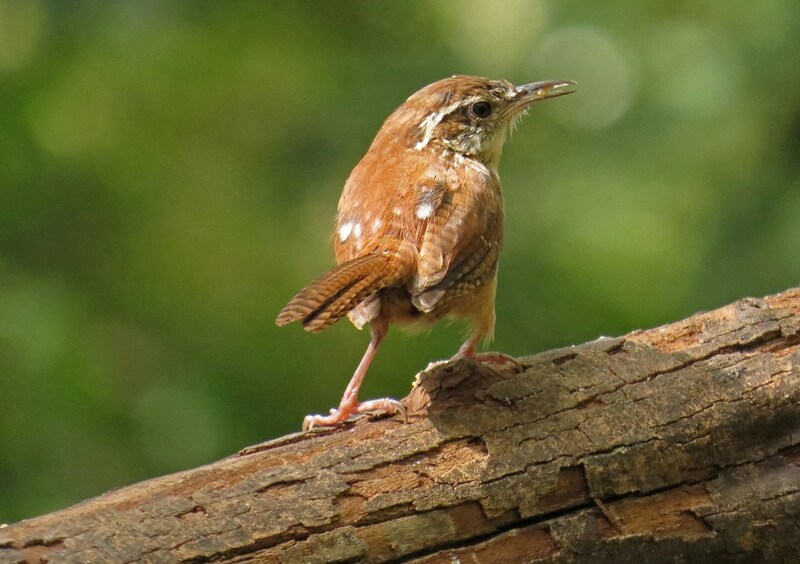 I love Carolina Wrens, and I was so surprised to see one at the end of a call I was following. They certainly enjoy singing praises (very loudly) to God! I think the book of James was written for these wrens, for out of the same beak comes blessing and cursing. Mine have been joyfully singing one minute, and then noisily bossing the other birds about the next! Love the little wrens. They have tons of personality. Thanks for sharing, Kathy. Such a cute little bird! Oh, I definitely “got it”, Kathy! 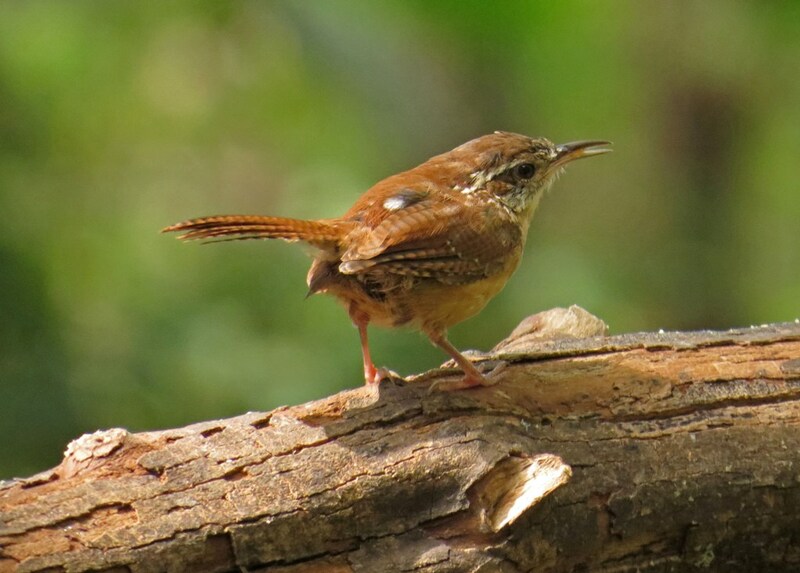 We only have house wrens here but they share the same characteristics. Of course, I’m dying to hear the ditty…but perhaps the Pigeon Poop Song is best left to the imagination!